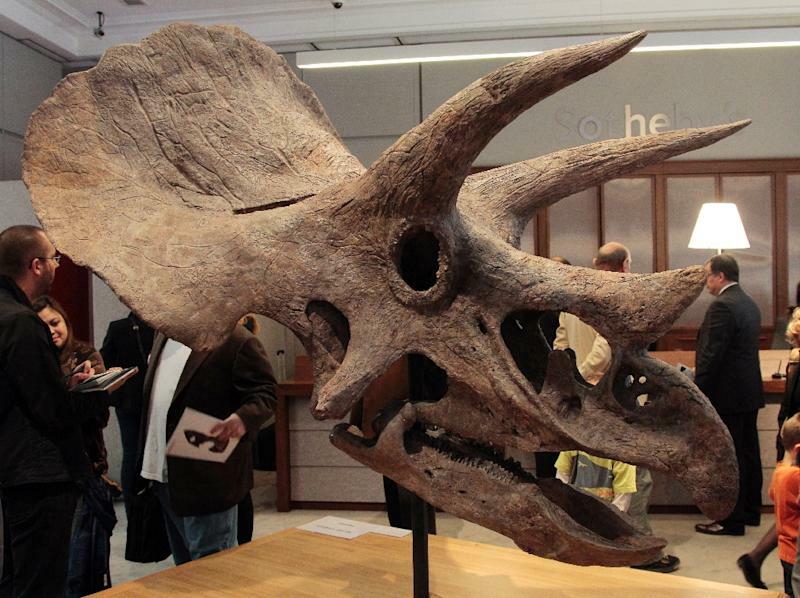 Paris (AFP) - The forerunner of dinosaurs like three-horned Triceratops was a bird-hipped creature the size of a turkey that lived in herds in South America and liked to munch on ferns, scientists said Wednesday. Laquintasaura venezuelae, named after the country in which it was discovered, lived 201 million years ago in the earliest Jurassic period, soon after a major extinction at the end of the Triassic, said a paper in the journal Proceedings of the Royal Society B. The early history of bird-hipped, beaked, plant-eating dinosaurs called Ornithischia, of which the newly-discovered lizard is a very old example, has thus far been sketchy, as so few have been found. Ornithischia gave rise to famous beasts like Iguanodon, Stegosaurus and Triceratops, which have inspired childrens' toys and cartoons. The discovery of the remains of at least four Laquintasaura in Venezuela showed that dinosaurs bounced back quickly after the Triassic species wipeout, said study author Paul Barrett, a palaeontologist at the Natural History Museum in London. Also, "it is fascinating and unexpected to see they lived in herds, something we have little evidence of so far in dinosaurs from this time," he said in a statement. "The fact that it is from a completely new and early taxon means we can fill in some of the gaps in our understanding of when different groups of dinosaurs evolved." The remains were found in the La Quinta geological formation in the Venezuelan Andes, an area previously thought to have been far too inhospitable for dinosaurs. The fossilised evidence revealed that Laquintasaura walked on two hind legs, and was about a metre (3.3 feet) long with its tail, and about a quarter of that wide at the hips. It is thought to have been largely a plant-eater, favouring ferns, but curved tips on some of its teeth suggest it may have also eaten insects and other small prey. "It is always exciting to discover a new dinosaur species but there are many surprising firsts with Laquintasaura," said Barrett. "Not only does it expand the distribution of early dinosaurs, its age makes it important for understanding their early evolution and behaviour." It is the first new dinosaur species found in the north of South America. The fossils' age was determined with techniques that included analysing residual radioactivity of tiny crystals within the rock containing the ancient bones.